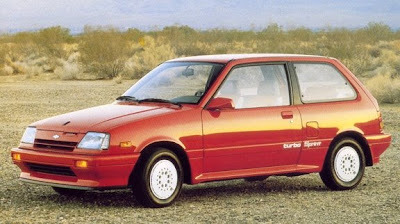 What was your favorite 1980s subcompact? The 1980s offered a variety of subcompact car choices in the U.S. The early part of the '80s offered up vehicles like the Toyota Starlet and Tercel; the Plymouth Champ (which was essentially a Mitsubishi Colt), and the venerable VW Rabbit. The mid-'80s had vehicles such as the Mitsubishi Mirage, the Chevrolet Sprint, and Ford Festiva. The late '80s subcompacts thinned out a bit, but vehicles like the Suzuki Swfit/Geo Metro appeared as did the Subaru Justy. Heck, you could probably include the Suzuki Samurai in there, too. In the '80s, my family owned a Plymouth Champ, Mitsubishi Mirage, and a Dodge Omni. Yes, they were pretty neat little cars, but there were a few vehicle that I've always thouth were just uber cool. 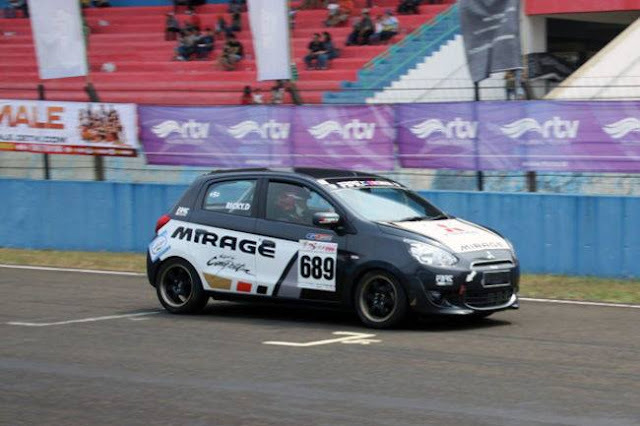 For instance, a few of my favorites include the late 1980s Suzuki Swift GT; the Chevrolet Sprint Turbo; the Mitsubishi Mirage Turbo; and of course the Subaru Justy with it's three-cylinder engine and four-wheel drive. So what's your favorite 1980s subcompact? Give your answer in the comments section. I'm glad you asked the question but it's hard for me to pick just one.My favorites would have to be the 1981 Honda City,1985 Renault Alliance/Encore especially the convertible,Toyota MR2,and the Czech subcompact sedan the 1984 Skoda 120 that my family owned.I liked the car it had unique styling ,it was rear engined,and had a spacious trunk in the front.It was sort of like an old Beetle with a boxy sedan body.I would have added the Renault 5,the 81 Ford Fiesta,Fiat X 1/9,Volkswagen Scirocco,and the Volkswagen Rabbit convertible but those cars were designed and began production in the 70's so I suppose they may not be "purely 80's" despite their popularity in the early to mid 80's. ......I *WILL* own a GLHS someday! Yes, the GLHS can easily be turned into a monster. I've seen a number of them at the local drag strips. The other car I kind of forgot to mention was my first vehicle: a 1992 Mitsubishi Expo LRV. At the time I didn't like it because it wasn't "cool" (I was in high school and college, but was glad to have wheels). However, after I got rid of it in 1999, I quickly realized how convenient it was. I drove all over the Mid West in that thing, too. Sold it with 118,000 on the odometer after going through two sets of CV joints. Neat little car, though. I wouldn't mind having a 1994 with the 2.4 liter, a 5-speed, and AWD. Funny thing is, the exterior dimensions were nearly identical to the first-generation Scion xB. What's Up With the Slow Honda Fit Sales? The Venerable Toyota 1NZ-FE: Old. Reliable. Tunable? What Was Your Favorite '80s or '90s Subcompact Car? Subcompact Culture is all about small cars. This includes subcompacts, compacts, micro cars, and more. Heck, even some vehicles that are a bit bigger. 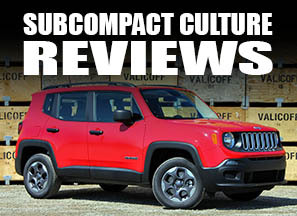 From news and reviews to cars shows and project vehicles: Subcompact is the small car blog. Thanks for stopping by, and enjoy your visit. Do you have a story idea for Subcompact Culture? Want your car featured? Interested in advertising? You can contact us by clicking here. Copyright 2008-2018. Awesome Inc. theme. Powered by Blogger.